Still Using a "Rank and Yank" Employee Performance Model? Well Don't. Is your performance review process stifling creativity and collaboration while driving away some of your best people? If you employ a forced ranking scale, what’s often referred to as a “rank and yank” model, you may very well be doing just that. Annual performance reviews are one of those things in our professional careers that can cause quite a bit of anxiety. 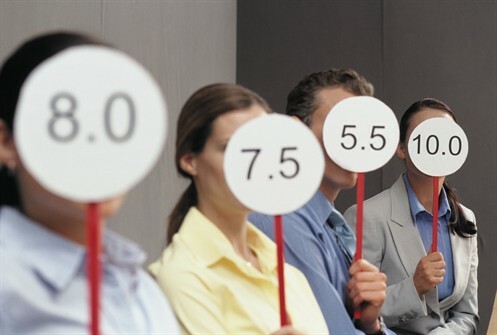 After all, performance reviews become a permanent part of our employment record. The good and the bad. So a little anxiety is completely understandable. Concerns such as...what will my manager want to talk about? Will he bring up the time when I screwed up that report? What about those few weeks when I was really sick and not very productive? Will I get a raise? are all things that might cross your mind. We typically can come up with all sorts of subjects and scenarios that might cause a stressful situation. But it doesn’t have to be that stressful. A little preparation before hand can go a long ways. Here are some things you might want to do before the big moment. You should already know what these are but putting them down on paper and bringing it to the review will ensure you and your manager are on the same page and that all the necessary subjects are covered. You might think you are doing a poor job in one particular area but your manager might feel you are doing a good job. By giving yourself a review you will be able to address any discrepancies in your performance. Show some initiative. Write down a few goals that you have for yourself over the next year. These goals can relate to certain accomplishments, learning certain skills, improving your abilities in certain areas, etc. be sure to communicate why you are choosing these goals and how they relate to making you a better, more productive employee. Almost every review will include “areas for improvement.” Do your best to think of what these might be so you can show that you are aware of your weaknesses. Tell your manager what you have done, or plan on doing, to address them. graciously thanking your manager for any praise and accepting responsibility for any issues is the key to a successful review. You manager’s goal in a review is to communicate certain things to you. Make it easy for him/her by being open and accepting to any subject discussed. Reviews are ultimately about making the company stronger.